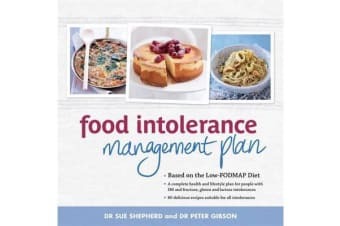 The Food Intolerance Management Plan is a scientifically developed program and comprehensive recipe book for those suffering from common digestive illness. Based on the revolutionary Low-FODMAP Diet, it shows people with food intolerances how to enjoy their food while remaining free of the symptoms associated with irritable bowel syndrome and related conditions, such as gluten, fructose, lactose and wheat intolerances. 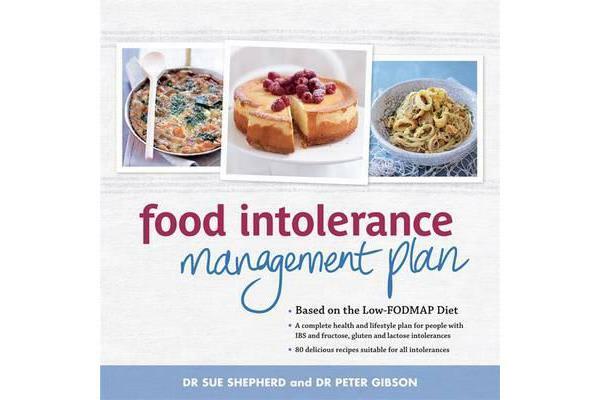 Authors Dr Sue Shepherd and Dr Peter Gibson are world leaders in the area. They explain the conditions that affect one in five Australians, and show readers how to- recognise symptoms and seek appropriate medical advice identify and avoid food likely to cause symptoms shop and plan menus for the whole family entertain, travel and eat out with peace of mind With 80 delicious and easy-to-prepare recipes, including baked goods, desserts and spiced dishes, this is your one-stop guide to managing symptoms, feeling great and eating well.